Barkby United will look forward to their second successive Premier Division campaign after an excellent return to the top flight last season. United finished fifth and just 21 points off second spot, an achievement which topped even the most optimistic forecasts. “We far outweighed our own expectations last season and played some excellent cricket,” said director of cricket Tom Flowers. Keen not to wrest on their laurels, Barkby have been busy strengthening the squad in the close season as they bid to maintain their high standards. The batting department is bolstered by the additions of Adam Stapleford-Jones from Barwell, Dave Tew from Lutterworth, and Hinckley’s Ben Silver who also joins as junior head coach. Left-arm spinner Cam Sharpe has also joined from Houghton and Thurnby and Leicestershire CCC Academy cricketer Harry Funnell will add pace to the Barkby attack. “The new guys provide competition for places and strengthen our squad and playing membership throughout the club,” Flowers added. “We are looking to match last season’s playing standards and achievements; nothing more than taking one game at a time, not looking too far ahead, and playing some high quality and smart cricket. The team will be led once more by Tom’s brother Steve. He said: “Steve grew as a captain and leader and led brilliantly from the front last season. 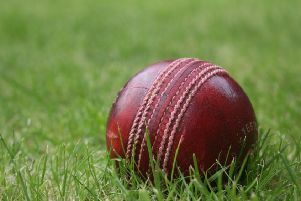 Summer cricket camps take place at Barkby during the May half-term holidays and from August 2 to 4.